You don't quite know what you're getting into when you watch “10 Cloverfield Lane.” The marketing has been almost perfect for this film. Is it really a sequel to the hand-held camera monster mash “Cloverfield?” You'll have to see it yourself to find out. The trailers are extremely vague but offer a few bits of story. It seem as though a young man and woman are being held in an underground bunker by a crazy guy who insists that there's been some kind of attack above that has rendered the air unbreathable. The film is fascinating and strange and offers top-notch suspense as you never quite know what the filmmakers are up to and what's gonna happen next. 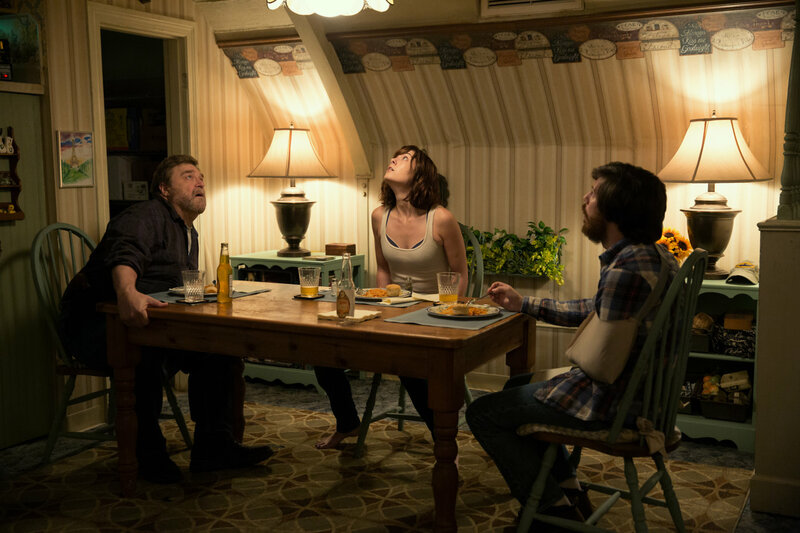 If you've heard “10 Cloverfield Lane” is related to “Cloverfield” you'd be right and wrong. The film's couldn't be more different in style and execution, but the movies feel like they occupy the same purpose: to offer a supreme sense of dread and keep the audience in suspense. “Cloverfield” was a movie about a group of young people celebrating a friend who was going away and became a monster movie. This film feels more like “'Misery' in an underground bunker.” Mary Elizabeth Winstead plays Michelle. In the film's opening sequence she's seen packing up and hurriedly leaving her apartment while she ignores calls from her boyfriend. She's suddenly in a car accident and then wakes up with a gash on her head and an IV in her arm. Oh, and she's chained to a wall (No, Samuel L. Jackson from “Black Snake Moan” is nowhere to be seen). There's the creepy Howard (John Goodman, simply chilling), who apparently saved her life, and a younger guy named Emmett (John Gallagher Jr.) who share the underground bunker she finds herself in. To say any more would be a disservice to anyone even remotely interested in seeing the film. The movie is directed by Dan Trachtenberg, in his feature film directorial debut, and what an incredible film debut it is. He offers the perfect mix of suspense and just plain weirdness (and some fun musical choices). It helps that the script from Josh Campbell, Matthew Stuecken, and Whiplash's Damien Chazelle oozes with twists and turns which always keep the audience on its toes (including a disturbingly intense scene involving an air vent). You never really know where this thing is going or what we're even really seeing. Things all come to a head in a slam-bang finale that pulls the rug right out from under you. 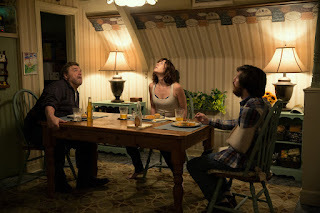 Trailer for 10 Cloverfield Lane on TrailerAddict. replicas rolex de réplica Hublot siempre ha sido popular y quería por muchos. replicas omega merecida luz sobre él entre los otros relojes Hublot Big Bang réplica. Aquí está una foto pegajosa del buen ángulo de la pieza original.